Updated 2017 Edition! 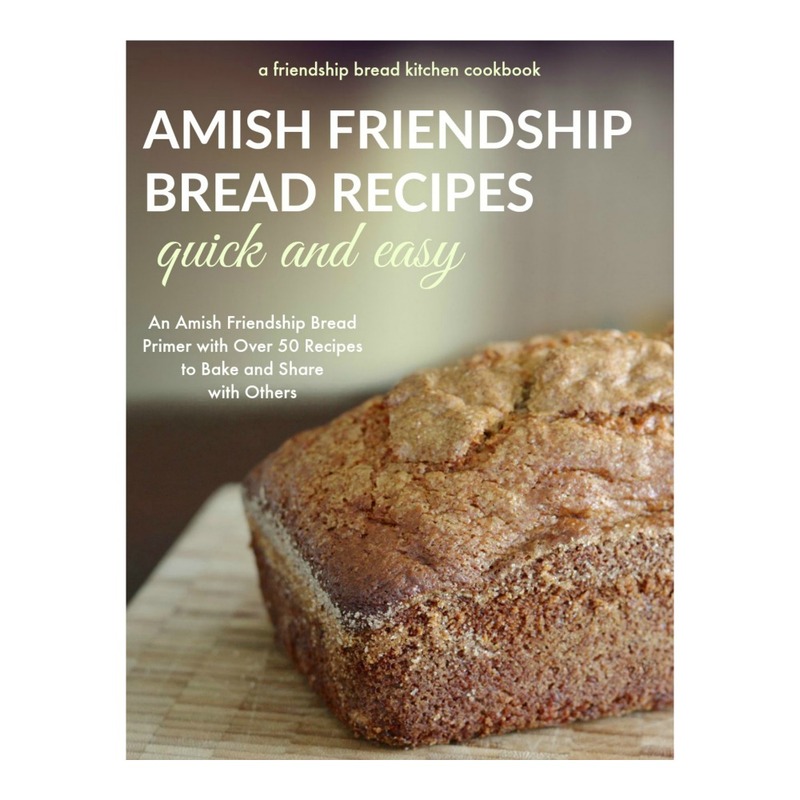 Ever receive a bag containing a cup of Amish Friendship Bread starter? Have questions about what to do or how to maintain your starter? Tired of the basic recipe and need some fresh inspiration? 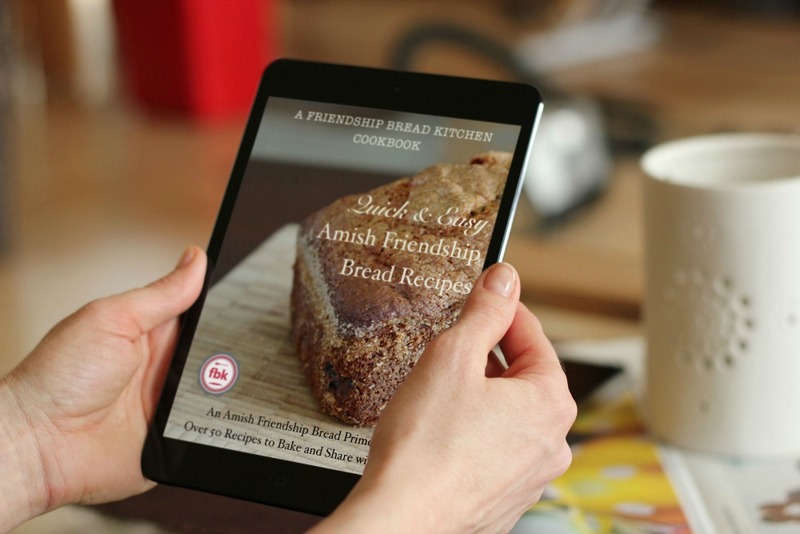 Quick and Easy Amish Friendship Bread Recipes: An Amish Friendship Bread Primer with Over 50 Recipes to Bake and Share with Others is the answer. 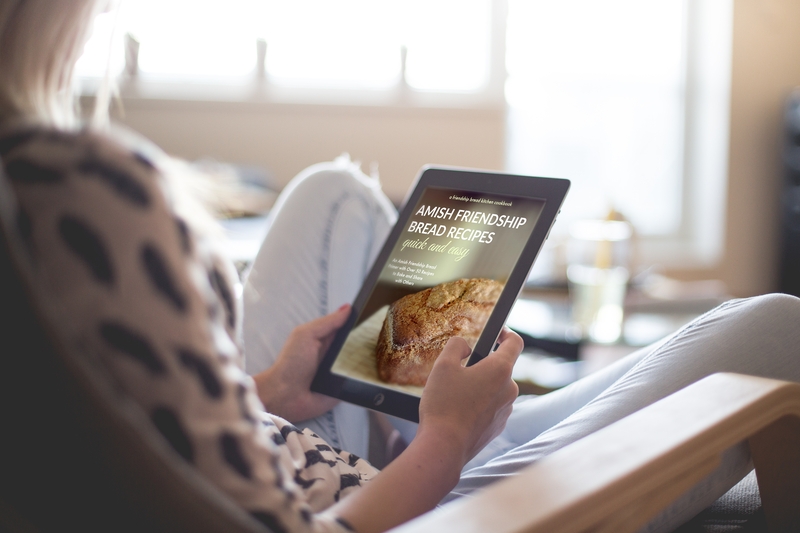 With over 50 kitchen-tested Amish Friendship Bread recipes curated and created by the Friendship Bread Kitchen, you’ll find the right recipe for any occasion. 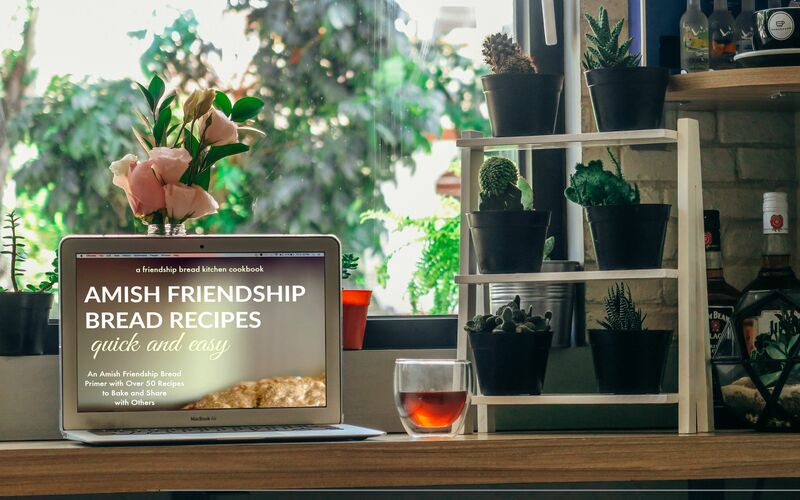 Learn quick tips and tricks from members of the 75,000+ Friendship Bread Kitchen community. Bake loaves, cakes, muffins and more to share with friends and family. 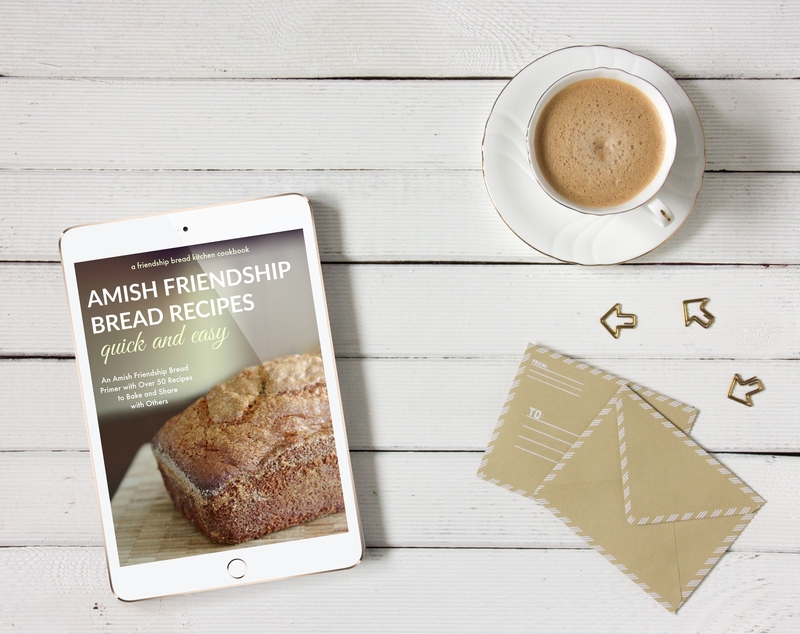 This special 94-page e-cookbook edition includes an Amish Friendship Bread primer with bonus material like making your own starter from scratch. 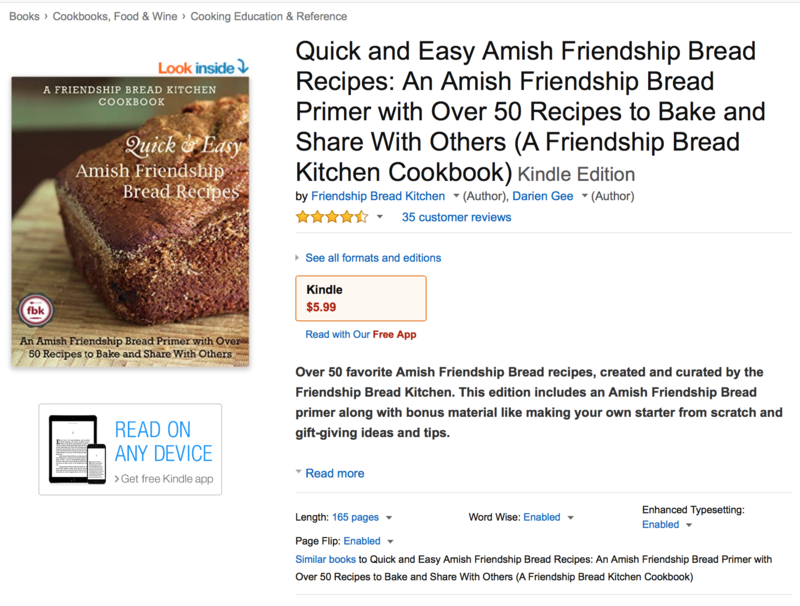 There are also recipe cards and gift tags (via a password-protected link) to make gifting your bread easy.